Veganskt Sverige – eating vegan in Stockholm | vegänsch. 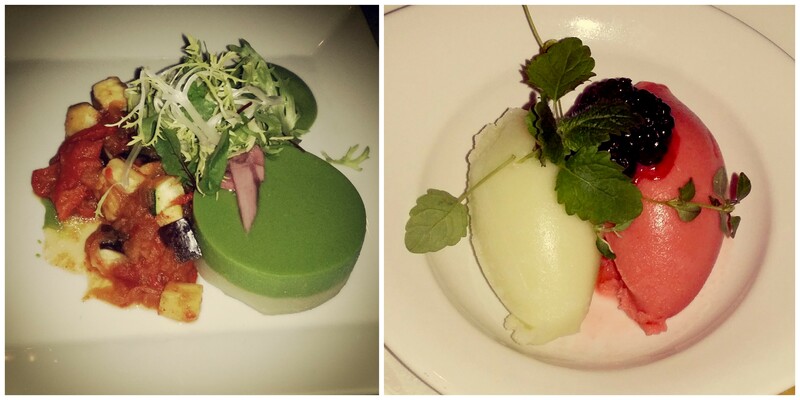 Pea and potato terrine with ratatouille and spinach sauce as a main, lemon and strawberry sorbet as dessert at Fem Sma Hus, a wonderful restaurant in Stockholm’s old town. It has five floors DOWNSTAIRS, so you go down to the basements to have your food. It’s in a traditional old Stockholm house where a lot of the buildings have several basements. This was actually their vegetarian dish on the menu which conveniently turned out to be vegan anyway. This is what I found in the normal standard supermarket at the trainstation – so happy! There seem to be a lot more soy- and plant-based milk, yoghurt and cheese options in Sweden because of the allergy awareness, I guess. 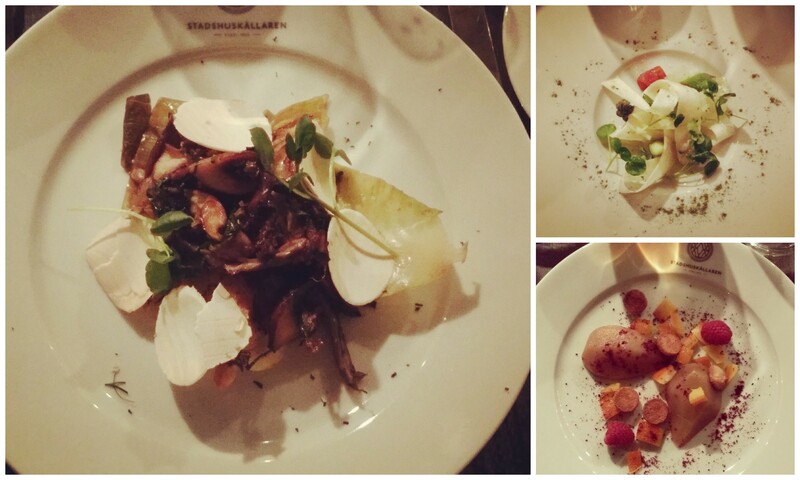 Vegan three-course menu that the chefs at Prinsen created for me: Asparagus salad as a starter (top right), butter beans, roast potatoes and veggie skewer on herbs and lettuce, and rhubarb sorbet. I’ve never been a huge fan of asparagus, white beans and rhubarb, but this menu really convinced me! 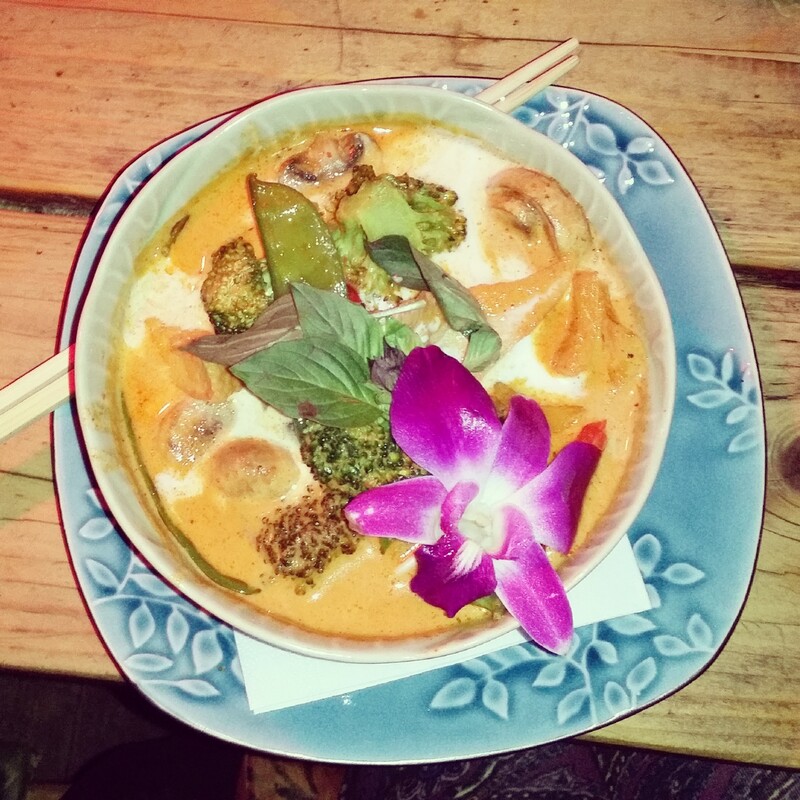 Not so fancy, still super delicious and real Thai: Red curry at Koh Phangan, one of the most authentic, colourful and craziest Thai restaurants I’ve ever been. 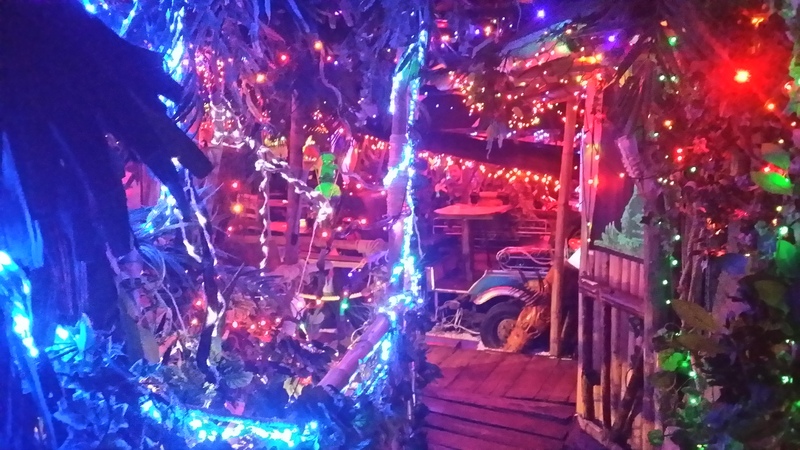 The style was supposed to be like the Full Moon Party, and as I’ve been there a few years ago – yes, this restaurant is the closest you can get to Full Moon in Europe! 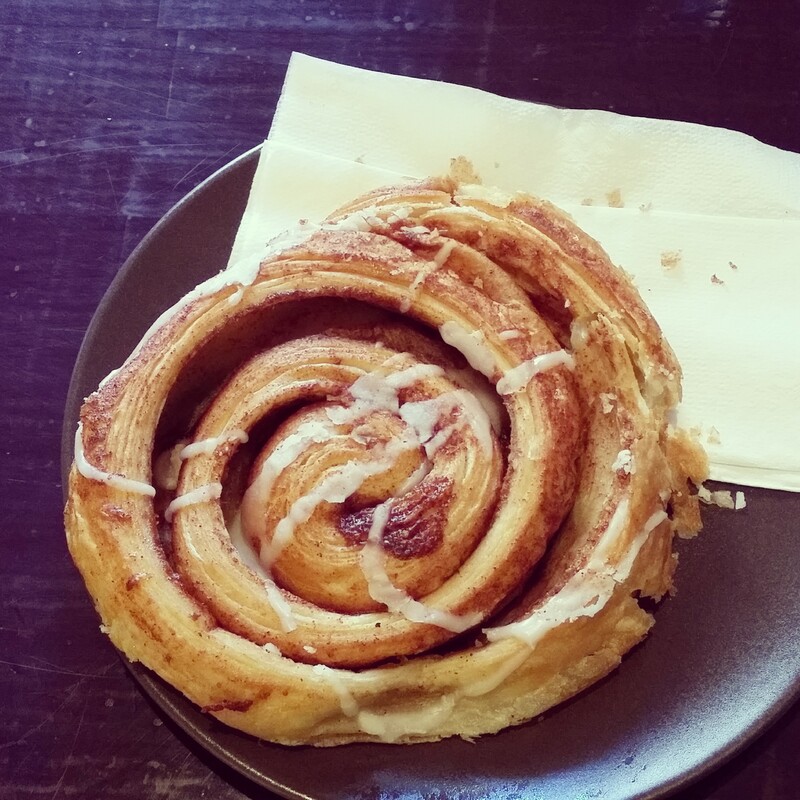 Finally – a traditional Swedish cinnamon roll (‘Kanelbullar’) in a vegan version. 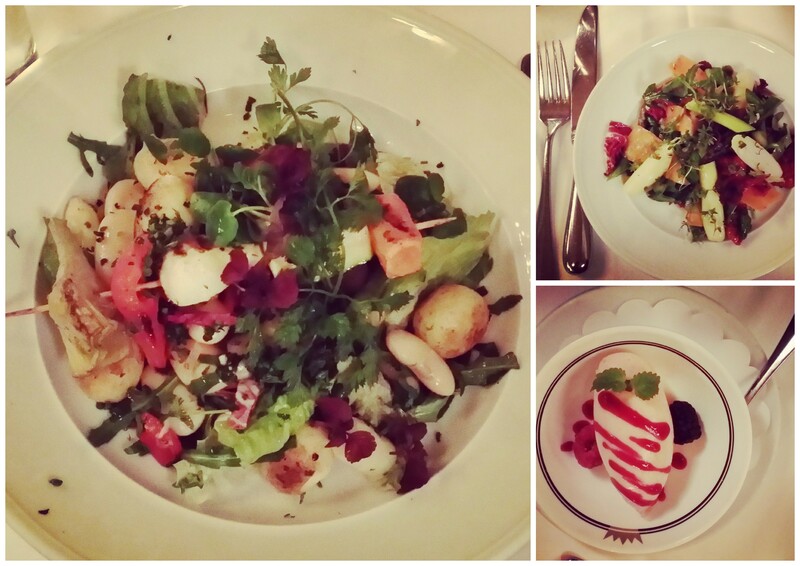 And finally in a vegan-vegetarian place, the cute little Café Fleminggatan. Thanks to the Happy Cow App, I found this gem right around the corner of our hotel. Super delicious, spontaneously created three-course menu at Stadshuskällaren starting with raw green and white asparagus salad with sautéed tomatoes, followed by an interesting main: A quarter cabbage steemed in a bag until soft, topped with different kinds of raw and cooked mushrooms which I’ve neither eaten nor seen before. Delish! The dessert was a glazed pear topped with little biscuits, raspberries and orange pieces that were cooked and cooled down three times, turning them into sweet jelly-like cubes. This restaurant has quite a taste for unconventional preparation methods! 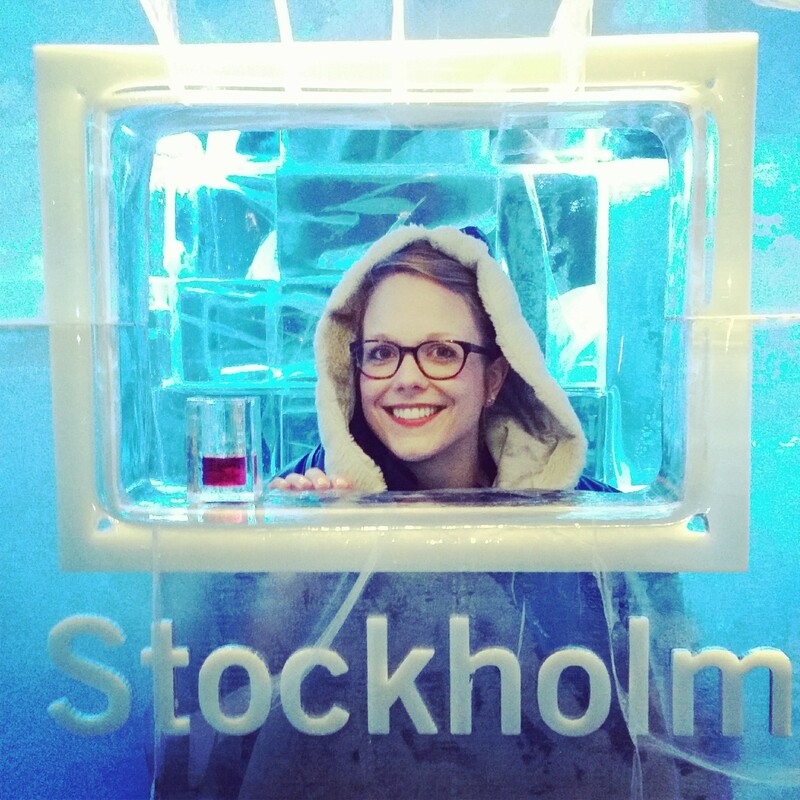 And a drink at the Icebar: Vodka with lingonberry juice, a traditional Swedish cranberry-like fruit. 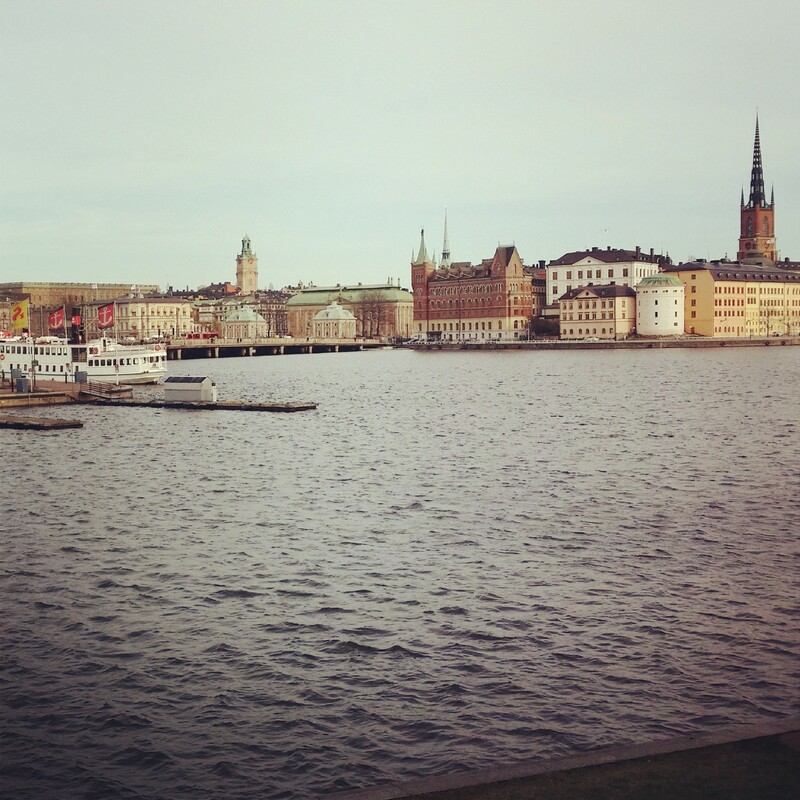 Tack så mycket for having me, Stockholm! Ahhhh you’ve made me so hungry now! 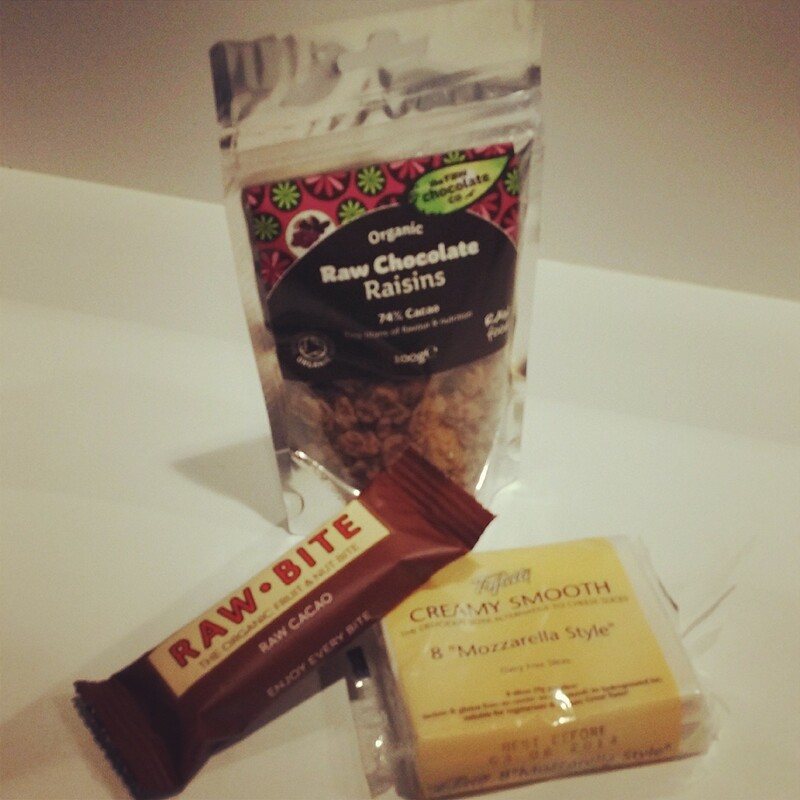 I wish we had more options for vegan/healthy/raw snacks here in Germany. Hehe hope you have something nice at home to eat as well! Ya I wish, too… Stockholm seemed such a healthy place anyway… :) Happy Easter to you! Pingback: “Vegan in Vegas” or eating vegan in the US | vegänsch.